São Paulo, capital of the Brazilian state with the same name, is Brazil’s largest city and the main financial center in Latin America. It is characterized by the huge confluence of immigrants, throughout its entire history, coming from other parts of Brazil and from abroad, and contributing with their traditions, their music, their food, their work and their lives. This cultural melting pot is reflected in the plurality of artistic, social, and political expressions that occupy the entire city. The city has an incredible cultural offer from small contemporary art galleries to internationally recognised museums such as the Museu de Arte de São Paulo, the Pinacoteca do Estado de São Paulo, or the Museu da Imagem e do Som. Also, the conference will be held at the same time as the São Paulo Art Biennale. For more information on what to visit and see during your stay, please visit this website. No special health precautions are needed, unless you intend to travel to Amazonia. If you plan a trip to northern or western Brazil, please check with us regarding recommended vaccinations. São Paulo has a monsoon-influenced humid subtropical climate, with temperatures in November (when the conference takes place) ranging from a mean low temperature of about 17 °C (634°F) to a mean high temperature of 26°C (79 °F). The city is also known for rapidly changing weather. Brazil follows a reciprocal visa policy. Please read this document carefully and check if you are from a country where nationals are exempt from applying for a Tourist Visa (for stays up to 90 days). If your country is not on this list, you will be required to apply for a VITUR (Tourist Visa) at the nearest Brazilian Consulate. For travellers from abroad, São Paulo is easily accessible via Guarulhos Airport (São Paulo International Airport). Internal and regional flights are usually via Congonhas Airport. Please see links below with relevant information on how to get to and from the airport(s). This website has several interesting and freely available pdf guides. 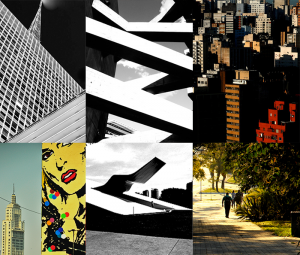 Some of them might be of special interest: a guide to cultural activities that take place this month, a city guide, a list of tourist information places and a map of Paulista Avenue and adjacencies. São Paulo is one of the largest cities in the world. Nonetheless, most of the central part of the city is well served by a modern network of buses, trains and metro. Both the conference and keynote venues are conveniently located near subway line 2 (green) Trianon-Masp station. There are also plenty of bus stops nearby those locations, in case you stay in an area with no access to subway. It is possible to buy a ‘pay as you go’ public transport card (for Metro/Bus) on must subway stations – Bilhete Único. Taxis are also a convenient, affordable and easy way to travel through the city (with mobile apps that speed up the process). For more information regarding São Paulo public transport network visit sptrans.com.br/. Also, and as an alternative to figure out routes to and from the venues, SPTRANS (São Paulo’s public transport management company) is well connected with most used web mapping services (Google Maps, Bing Maps, etc).